City Center at Oyster Point - Web Development Technology Partners, inc.
To develop a great website you need people that truly understand all aspects of web design. The team at wdtp web development undoubtedly understands web design. 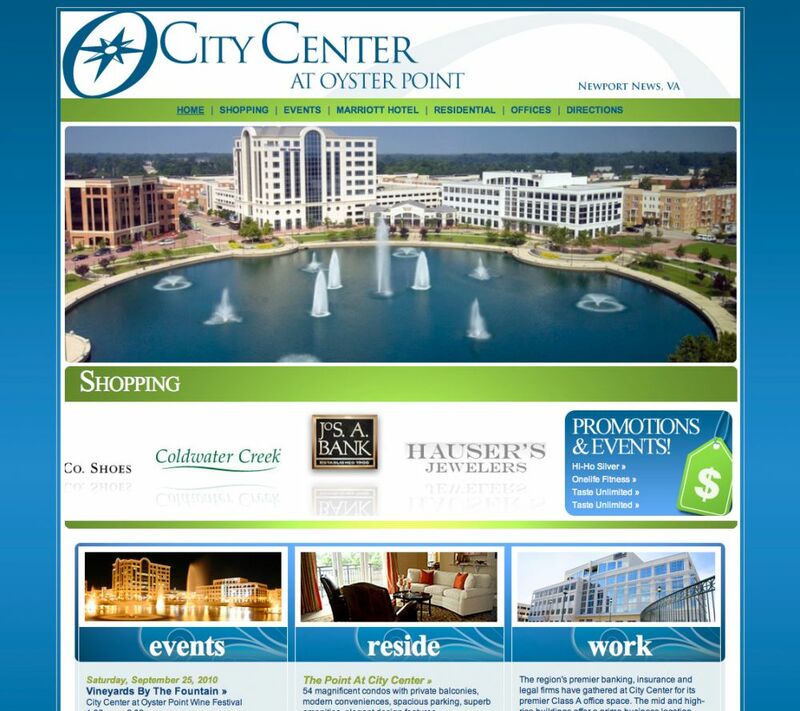 We greatly appreciate your work in designing the City Center at Oyster Point website. Your understanding of our needs and your talent and creativity has resulted in a great product. It has been a pleasure to work with you, and we look forward to our continuing to work with you in future projects.